I know I'm late to publish this. I was busy over the holidays. 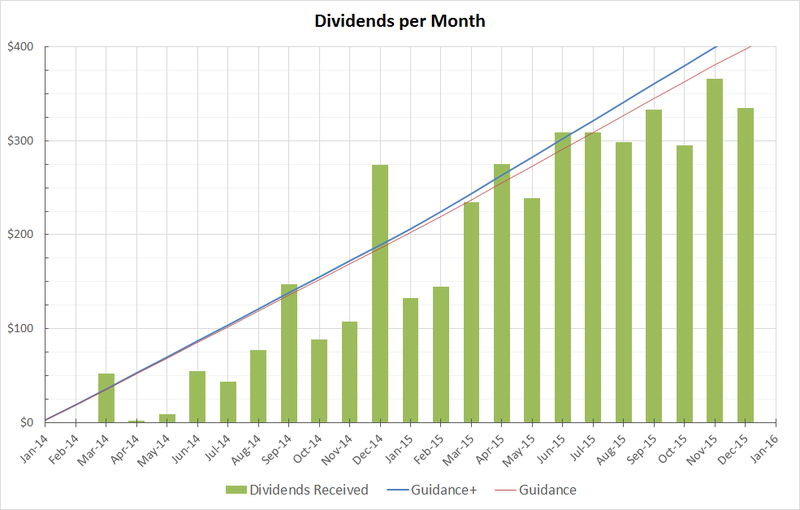 December 2015 was an excellent month for me in dividends. My dividends continue to grow month after month. The dividends are starting to look significant to the point that they are making decent impact. For instance, my food and/or some utilities can be paid for by the dividends. Sooner or later they will all be completely covered including my housing costs. Here is a table showing which companies paid me cash in December. I reinvested all the cash received in the companies that paid them.